Tony Romo is back this week, but clearly the moment is bittersweet. To clear his roster spot, Brandon Weeden has been released. Thanks again for the memories, Brandon. 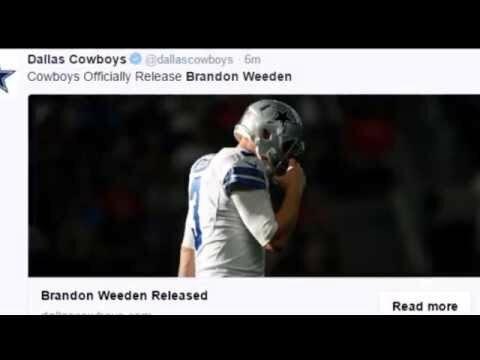 Tell us what you think about "[VIDEO] Remembering Brandon Weeden" in the comments below. You can also email me at Sean.Martin@InsideTheStar.com, or Tweet to me at @SeanMartinNFL!